We share the secrets on how to make great salami and discuss all things meat, with the help of our Salami expert Andrew Morabito. In this hands-on salami cooking class, you’ll learn how to make your own salami from scratch, including seasoning and the art of curing. Your delicious cured salami will be aged in maturing cabinets and ready to be collected from Signorelli Gastronomia 6 weeks later. The class starts with biscotti and coffee in our beautifully appointed theatre kitchen. In preparation for the hands-on class, guests are invited to enjoy a delectable antipasto bar, where you will get to taste the authentic salami varieties you are about to create. The antipasto bar consists of warm Italian bread, scrumptious hunks of buffalo parmesan cheese in a giant wheel and of course, freshly sliced salami. Then it’s time to get hands on. Using only the best ingredients such as home-grown herbs and spices, you’ll learn the importance of using fresh, quality produce to create authentic salami, which you can use to produce a variety of types by slightly changing methods. Take home recipe notes from what is covered on the day and have a go at making it yourself. Imagine your family’s face when you take home your delicious perfect cured salami, ready to eat in six weeks from the class. 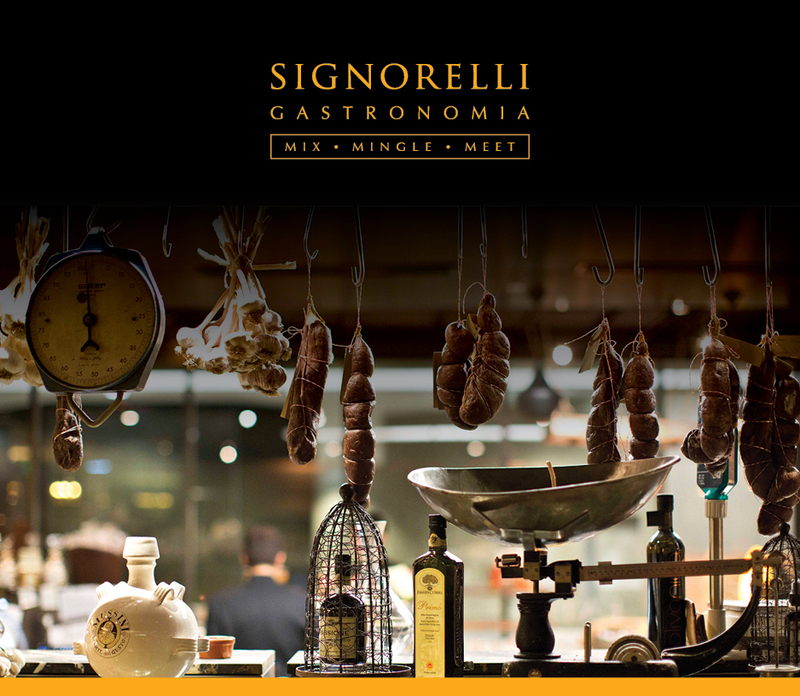 Located in the heart of Pyrmont, Signorelli Gastronomia is a feast for your senses you will not be able to forget. Signorelli Gastronomia is Sydney’s most unique private event space and cooking school, transporting our guests to the flavours of the Italian countryside.